Alliance Resource Partners sold more coal in the second quarter of 2017 than a year ago, but its net income and total revenues declined because of anticipated decreases in coal sales prices. Joseph Craft, president and CEO of the Tulsa, Oklahoma-based company, told analysts during a July 31 phone conference that he expects electric utility coal purchases to pick up in the final months of 2017. Alliance sold 8.5 million tons during the April-June period, up 6.3% from a year ago, due largely to good performances at its Hamilton longwall mine near McLeansboro, Illinois, its River View underground mine near Uniontown, Kentucky, and its Gibson South underground mine near Princeton, Indiana. 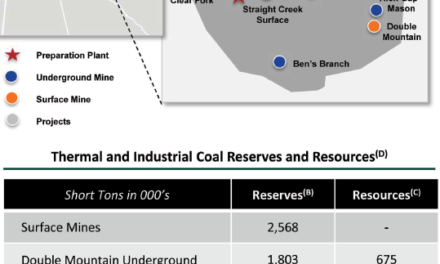 Both River View and Gibson South are continuous miner operations.